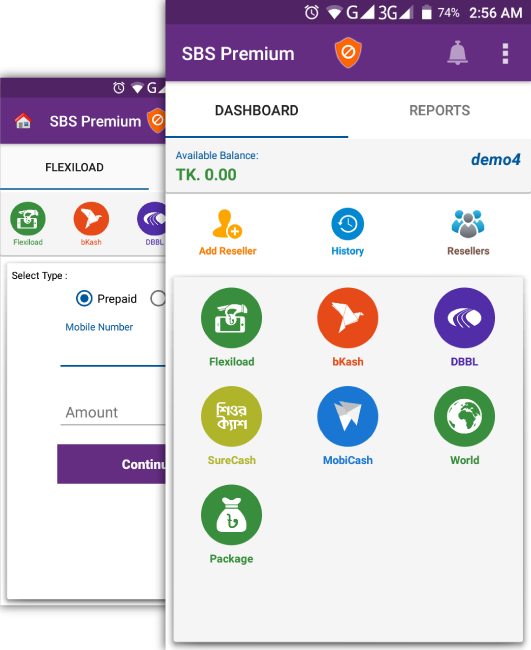 SBS Plus is a web-based software control over your online mobile recharge/ Flexiload business, that can be used to recharge mobile of 33+ Countries Operator like GP, Robi-Airtel, Banglalink, Teletalk, DiGi, Maxis, Celcom, U Mobile etc along with Utility bill pay and many more. The main advantages of this software are to extend their services and business networks through resellers. The resellers are registered users, they send their recharge request from the remote place via Website & Android Apps. Recharge is carried out automatically by the system after receiving the requests and responses are sent back through the web request. SBS Plus is only one place providing this type of software with easy recharge process, our expert has more experience developing mobile recharge software/ Flexiload Software. We have lots of clients over the world like Bangladesh, Malaysia, Singapore, Saudi Arabia, Nepal, Pakistan, Sri Lanka, Indonesia, United Arab Emirates, Oman, Qatar, Kuwait, Bahrain etc. Start your own recharge/ Flexiload business from any where by using SBS Plus. SBS Plus will fulfil all your requirements that includes Mobile recharge, Flexiload, Mobile Payment, bill payment, prepaid card and bulk sms etc & Few extra Facilities without cost. SSL Service: We use advanced SSL (secure sockets layer) protection for your convenience. You will notice the lock icon on your browser changes indicating that your transmission will be secure. Global Mobile Recharge: We provides API user from Global Mobile Rechare Store with lowest rate & highest profit. Where you can do business of 30+ countries Mobile TopUP through Fastest & Secured API. Authenticator System: Our Strong Authenticator System provides a long-term, strategic solution for protecting against online attacks, such Phishing, Trojans, etc. Now you can manage accounts for SIM provider. We use industry best data centers and ensure your server has the latest security patches. That's why we can commit to your site being up over 99.9% of the time. You can submit a ticket through the CRM any day, at any time, and we will assist you. Our 24/7 Customer Support team is ready and waiting to serve you. We have a great team who always work on the security of your site, Software, Hosting etc and make sure that your website is secured from any known threats. 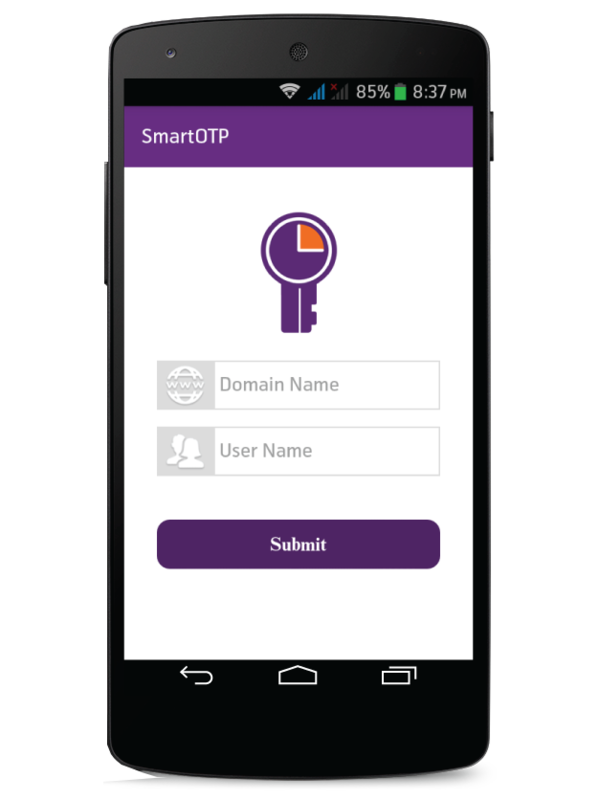 Smart OTP provides one time passwords to be used with the two factor authentication for web billing. It help’s you protect your account from hackers and hijackers by adding an additional layer of security. Compatible for all Android devices. Get started with SBS Plus today! *Package upgrade: Within six months from registration date. Or, you can do it on the due date of service. *Hardware Price: Send us mail. *Imei: To add each port/slot/imei on server $10 USD Charge is applicable. *Hardware Warranty: Warranty/guarantee isn't available for Modem. *Hardware Delivery Time: 30 Working Days, May delay for shipment process. *Premium App price: $150 USD one time & fee is applicable for any kind of update. *App Delivery Time: 15 Working Days after Logo & brand name confirm. Create a Zepode portal Account, we ask for some personal info & strongly recommend completing our verification process. By providing accurate info, you can help keep your account secure and make our services more useful. Choose the Yearly plan from above that best suits for your business, place an order on the portal cart or send us a mail with plan details. We will assist you, our 24/7 customer support team is ready and waiting to serve you. We will provide you, our account details by mail. After making payment, Send us a mail with sender details, transaction ID, Amount to verify your payment. After confirming your payment, we need 24 hours to assign products to you. © 2009-2018 Zepode Inc . All rights reserved.